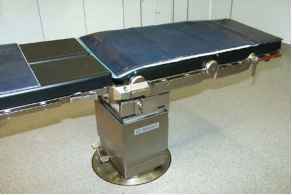 An X-ray mat is placed on the operating table from the buttock plate to the headrest when permitted or required by the surgical procedure (X-ray protection against radiation from imaging equipment from below, here image intensifiers, O Fig. 8.1). 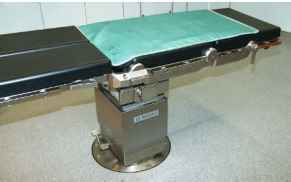 The leg plates are not used for trauma surgery, as some procedures require the removal or lifting/lowering of a leg plate. 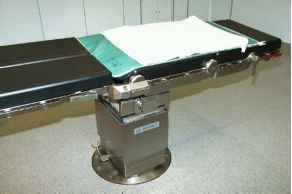 Depending on the duration and type of procedure, the operating table can be prepared with a short water mat (e.g. 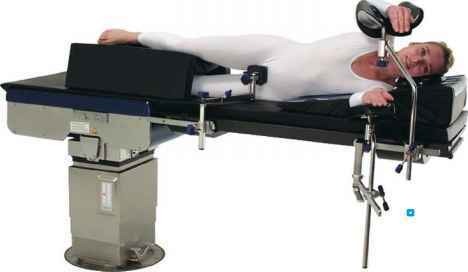 55x100 cm) with the mat always connected at the head end so that the C-arm can be moved without any problems in the scanning area and to provide better access to the patient in general (O Fig. 8.2). 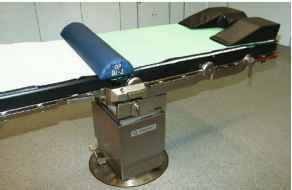 But generally the patient should always be warmed from above with a patient warming system (conductive method). A short gel mat (e.g. 60x100 cm) is positioned to cover the water mat and, in turn, not cover the leg plates (O Fig. 8.3). 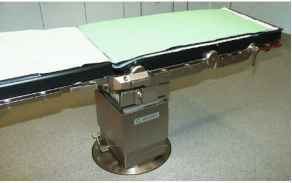 A paper sheet with water barrier is spread as insulation over the complete operating table. A folded 120-cm fabric sheet is placed on the absorbent layer of the paper sheet and a neutral electrode is placed on the fabric sheet. All layers end flush with the edge of the table and the folds are smoothed down (O Figs. 8.4, 8.5). 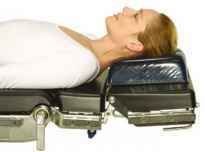 It is also possible to use the gel mat as final cover on the operating table, so that the patient's body is in direct contact with the gel mat. 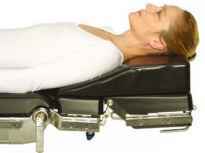 The number of additional layers between the patient and the operating table or padding should be reduced as far as possible as this otherwise limits usefulness and it is no longer possible to prevent bedsores (O Fig. 8.6).